Here you can find my journal where I record thoughts, activities and anything else that I feel drawn to share. Please come back from time to time and take a look. I’d love to have your thoughts as well, so please feel free to get in touch. My new, and as yet unfinished Snorting Zebra artwork, can be found in the SHOP...Original Art section. Over the past two months, I have been labelling each and every product in order for them to integrate with my new Cash Register system. I've also been working on a pastel portrait of a 'Snorting Zebra', whilst also slowly bringing my Esty pages up to date. A couple of weeks ago we had a power cut and when the power was restored it knocked my pc for 6, so have been computerless for a while. We now have surge sockets installed at home and in the Studio. Then last week my router at the Studio packed up...doh!! Thankfully it too is in the process of being replaced. Meanwhile, the Studio Gallery is completely upside-down as am about to start decorating. It is definitely in need of a face lift...as am I! 😉 Busy days. Happy New Year Folks... Have fun!! Merry Christmas & Happy Holidays to All. Thank you also to friends, family and all who have supported my Larmer Tree Studio and artwork throughout 2018! Wishing you love, peace, joy and goodwill! Hi folks, just a quickie to say that I removed certain products from my Shop back in November. The reason being: Wraptious request that the five designs entered into the Wraptious competition are not displayed on any other products, on my website or elsewhere, until the competition is over. Fingers crossed that Wraptious like my work and that I am Shortlisted. To win would be a dream come true... and if I am successful, in the New Year there will be a much wider range of products, produced by Wraptious, available here on my website, and from Wraptious themselves. Really exciting times and fingers crossed. All you need to do is click on the Blue Like Button + if you can, then please click Like on each of my products. Today is the final day. Just received this message.....Coo! & wow!!! 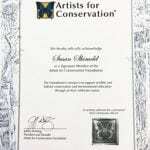 We are writing to inform you that we are very pleased to celebrate your commitment and contribution to the AFC's mission, by featuring you as the December, 2018, recipient of the Artists for Conservation Foundation's monthly conservation award. The AFC's Conservation Artist Award is awarded monthly to honour an AFC member who has demonstrated a combination of artistic excellence and an outstanding contribution to the conservation cause. Other recipients of the monthly award have included Robert Bateman, Guy Harvey, John Banovich, and David Shepherd, to name just a few. At the end of each year, recipients of this monthly award will be considered for the annual Simon Combes Conservation Award. Congratulations on this, and on all your work in using art to further the conservation cause. We hope to see you in Vancouver one year. Hi folks, I've entered another competition..this time for a cool little firm called 'Wraptious' and I need as many Votes as possible, for my 5 designs, on the page link below. It won't take 2 secs, and would be really appreciated as it will help bring my artwork to the attention of this company. The lucky winner is accepted into the Wraptious company; who then produce other artworks by the artist, and make them available via their website and at shows etc...which would be utterly and absolutely amazing!!! !.....A fantastic opportunity. If you can, please vote... and thanks for your support. Have dusted-off my bat cape. Received a bat rescue call this morning. Unfortunately he was found yesterday a'noon but thankfully he looks okay, so fingers crossed. It turned into a wildlife morning as en route I rescued a pigeon from the middle of the road. Spotted a lovely heron sat in the pond, in the rain. 🙂 And couldn't believe it when a beautiful, large, healthy fox ran across the road in front of me. All such brilliant sights, but sadly, for the fox to be out mid morning probably means only one thing..... rotten, hunting souls are about. Couldn't see any hounds in the vicinity so am hoping he stayed safe. Bat hosp. is also now set up and batty is lethargic, but cosy, warm. I did it!! Just had an amazing evening meeting fellow artists. 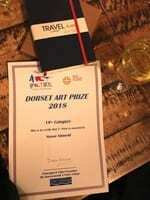 The Dorset Art Prize organised by Bournemouth University attracted 100's of entrants from all aspects of the visual arts: sculptures, textiles, photography, digital, animation, ceramics, drawing, printmaking - with the presentation of awards at Poole Museum. Met Sandy and David afterwards, two lovely talented artists. Congratulations to you both also and look forward to catching up again soon. Thank you Ellie and the panel of judges too. Coo!!! Still in shock lol!! As a member of Artists for Conservation I was invited to portray an endangered bird species, to be donated, to form part of a mural mosaic: featuring all 678 endangered bird species of the world. 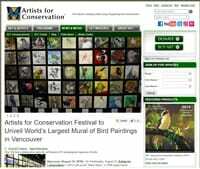 The 100-ft installation formed the artistic centrepiece of the 27th International Ornithological Congress, and the unveiling was at the Artists for Conservation Festival this August in Vancouver, BC. I portrayed two artworks: a Hooded Vulture and a White-winged duck. 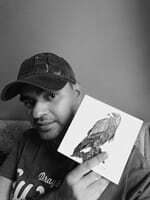 Today, I was delighted to discover that my Hooded Vulture has been included in the ReMax footage from the festival, and is also displayed on the AFC website. Chuffed to bits! 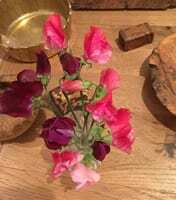 Lovely to see them, but can't believe am still harvesting Sweet Peas. Updating websites sure is a rigmarole. Another late night tweaking text, uploading new artwork, transferring bits, so many photos .....do I keep or not keep? Hmmm.. dilemma. So much to learn too - thanks for your help Clive. Interesting info. re: Banksy artwork. 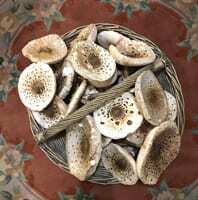 I’ve been keeping an eye on some young Parasols mushrooms for a few days, and on the way home from walking the girls took the opportunity to investigate further. Hence Brian had mushrooms, egg and chips for dinner, and I just love mushrooms, egg and toms on toast. If heavy rain hadn't been forecast for the next few days, I would have left them be, but didn't want them to go mushy mushrooms on me. I didn’t harvest all and they were taken from different areas. Had another lovely experience today. A friendly Italian gentleman visited my Studio and we chatted at length about my artwork, environmental concerns and his business. Amongst other things, he has a large Gift shop in the Bournemouth area - selling his family wines and a number of environmentally friendly products. Am always keeping an eye open for environmentally-friendly products and prior to last night growing loofahs had never crossed my mind before. Whilst rummaging on the internet I decided to investigate how to grow my own loofahs. It transpired that this gentleman was out and about promoting his new product...environmentally friendly home-grown Loofahs! You could have knocked me over with a feather. It was such a coincidence and I was definitely interested, and purely from what I'd learned the previous night was able to converse about certain aspects of his product. 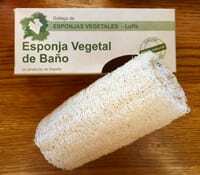 It transpires that most loofahs sold are shipped in from China: where they are bleached whiter than white, and not only are they of inferior quality, but also the production is extremely harmful to the environment. Looks like I may be selling environmentally-friendly loofahs in the not too distant future. 🙂 In the meantime, the gentleman is also extremely interested in art, and has other artist friends in various parts of the world. 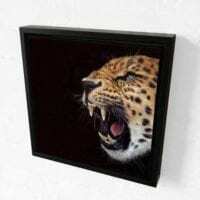 Whilst chatting, he also expressed an interest in perhaps displaying my artwork locally. It was a great meeting, and I learned lots. Yesterday was a drizzly, grey, blustery and surprisingly busy day at the studio. I normally wouldn't have opened up as I was also busy trying to sort my new website - but I knew that family were in the area and would be popping by to say Hi. It was lovely to see them, and not long after they had left more people popped in: including an English lady and her Chinese friend. Two of my artworks are now going to China, and one to Hampton in London. To hear an English person speaking Chinese...is impressive, I also didn't realise what a beautiful and musical language it is. When I mentioned this, I learned that they were actually speaking in Mandarin. A really interesting and good day. Today is a lovely, warm, sunny day... and surprisingly there isn't a soul about. lol! !I It is funny how things works out. After Saturdays adventure to purchase a birdbath from the middle of nowhere... my lovely birdbath is now in situ at my little studio. Been a bit busy this a'noon organising the rescue of a hedgehog. 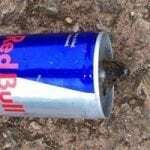 Received a message saying that it was in a garden, 10 miles away, making strange gurgling sounds, walking round in circles, ears and neck covered in maggots. Person that had found it put it in a bucket and took it in last night and then put it out again this a.m. Thankfully they phoned me this a'noon and thankfully it was still in the garden. Hedgehog now with an expert Hedgehog rescuer. It transpires he is 4 weeks old and has had the tip of his nose strimmed off. Thankfully no maggots, but many fly eggs have been removed. Pain killer administered. Going to the vets first thing in the a.m, maybe pts, not sure. 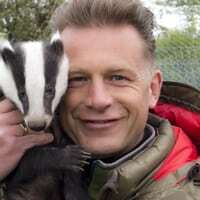 The carer says he can’t ever be released back to the wild tho’. For now he is tucked up warm, safe and sleeping. The carer said throughout her life, hedgehog casualties have seldom been due to wildlife predation, and are more often than not due to total lack of thought and care from humans, and total lack of responsibility re: their dogs. She believes that hedgehog numbers are decreasing because of this. Cider makers were busy in and around the barn today. With so much activity I was keen to check that all was okay with my Greater Horseshoe Bat. A pretty sunset and lovely evening made even more perfect with these calls as he flew off to feed. It was lovely to find that he was still there, and to see him. 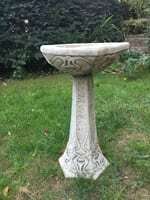 Went to buy a birdbath today, from a little cottage in the middle of nowhere. Ended up having a lovely lunch at The Saxon, in Stratton. Highly recommend: old pub, good food, lovely atmosphere. Then into Dorchester and to the Museum. Glad we did as it’s going to be closed for a couple years for alterations. Lots of interesting fossils and archaeological finds. Had coffee and cake close to this magnificent clock, and then home again to snuggle with the girls. Yesterday I took the girls for an extremely wet and windy walk. I was keen to get back in front of the fire but enroute decided I should take the longer path in order to check the barn where the GHS bat is living. Reason being, that last week I discovered someone had inadvertently shut the barn doors and locked him in. I decided it best to go and check, and as it transpired, am glad I did. There was a chap in the barn draining the huge beer barrels. The barrels have been there for a long time, but I had no idea they contained anything. He was as surprised to see me, as me him. After the initial exchange of: 'what are you doing here type questions' we both realised all was well, and had a good chat about bats and the estate etc. Apparently he lives in a village 5-6 miles away. On our doorstep we have many apple trees, as well as figs, pears etc.. and last year the gentleman was invited to make cider. Hence he was in the process of emptying the barrels ready for next weeks new harvest and pressing. I enquired as to where the cider was sold and he said that it wasn't. It was purely for personal use. We chatted further and then said our goodbyes. Half an hour later there was a knock at the door, and stood in the pouring rain was the same gentleman bearing gifts... a large sealed bag with a tap on it. Last night we sat supping the most deiicious golden home-made cider. It is funny how things work out. If I hadn't made the effort to check the barn door for the bats, our paths would not have crossed. Before leaving he also very kindly assured me that he had left the top barn door open for the bats lol!! Bless him. A lovely meeting. 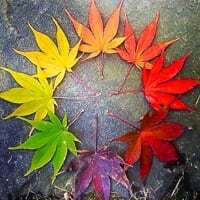 Peace, Love and Blessings on the Autumn Equinox. A message on facebook from a dear friend Rahul. It was a great big pleasure Rahul and thank you too, for being a lovely buddy. 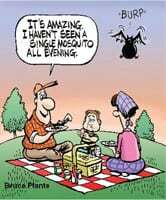 The discovery that adult mosquitoes and dragonflies that have accidentally ingested plastic, whilst as larvae and living in aquatic watersystems, are inadvertently passing plastic contamination to species: birds, bats etc that normally wouldn't be affected. It hadn't crossed my mind ... but it isn't just our oceans and marine species that are being contaminated. Our waterways are filled with microplastics so it makes sense that they are going to enter all food chains including insects, and any mammal or bird that feeds on them. It really is bad news. A fb photographer recently mentioned 'image theft', and suggested protecting photos/artwork with a site called Pixsy. I'd not heard of them before and after searching for info. and reviews, I signed in. I was shocked to discover a number of my artworks being used in a number of countries, by various companies/individuals, without my consent. The process with Pixsy is easy, and you don't have to pay for the image search. The monthly fees kick-in if you wish for them to chase-up the removal of your artwork, and request payment for use of, on your behalf. Sounds good on the face of it, but the reviews re their success rate were mixed. If anyone has more info on this company or any other companies providing a similar service - would appreciate your thoughts. This is text from a 'mother of two' who appears to think it is absolutely fine to use my 'Baby Orang' artwork, without my consent, in order to earn herself a little extra cash... hmm! 'Hello and welcome to my store! I am a wife and mother of two looking to supplement my family's income through my CafePress store! I hope you ejoy your shopping experience and come back often! A heartwarming sight, my lovely girls snoozing after a good walk....but with one eye open lol!! The monkeys don’t miss a trick. Just noticed I haven’t dusted outside since the fest. hmm..the staircase should be black. I entered an art competition a long while ago and have just received some good news - yay!! Apparently, I've been selected as a Finalist. Okay .. This is a message for all budding young artists living in the UK. If you would like to enter an illustration competition, you need to draw a picture of one or more badgers in black and white, and be aged between 13–16 years old. Seventeen lucky winners will win the chance to have their artwork published in ‘Badger Boy’ – a wildlife crime mystery novel. The closing date is 15 April 2019, and the winners will be announced on 01 May 2019. Home after a busy couple of days. Lovely to see so many familiar friendly faces: folk popping by to say Hi and also giving the heads-up on which bands to look out for. Also super to meet so many interesting folk; lots of lovely chat and lots of laughs. Thank you to All who called in to the Studio. It's been a great weekend!!! Back to the Studio with a whoosh!! It's been full-on with preps. for the End of the Road Festival which is happening - right here - right now. 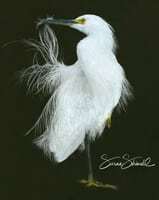 Finished my Snowy Egret artwork, organised new canvas tote bags, mounted a couple of prints, rearranged the studio to accommodate the new bags and cushions, and had a couple of mini photo shoots. Also redesigned and ordered new environmentally-friendly greetings cards. What with Greater Horseshoe Bats in the garden at home and designing new website it's been a tad manic.... but all equally important. Wishing you all a groovy weekend and see you on the other side. I love this. My mantra since I was a little girl. 8.30 p.m Waiting for a Pip. to emerge from a small hole in a roof, and a Greater Horseshoe flew past me at shoulder height. The sun hadn’t set but he was out foraging early. Sat down and heard a snuffling sound seemingly heading in my direction. The bat detector made a loud noise, and unbeknownst to me, a badger that must have been only 8’ away and watching me, shot off thro’ the long grass. A Barn Owl then landed on the gable end of the barn above the roost. I may be wrong, but I think he was being opportunistic as had seen him on previous nights perched on a chimney pot close-by. It has been known for Barn and Tawny Owls to catch bats as they emerge from their roosts. Lots of bat activity as the temp. dropped, it was a lovely full moon and great p.m, but it was def. a tad nippy out. I just love and always knew we were in a good spot as over the years have recorded Pips, Noctule, Serotine either passing thro’ or zipping above the cottage, plus we have a Brown Long-eared maternity roost in our roof. 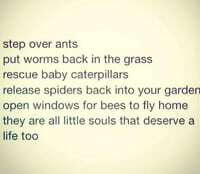 That I have been monitoring for years, for the Bat Conservation Trust. I discovered four nights ago, that we also have Leisler, Barbastelle, and Whiskered foraging....and we now know that we have a Greater Horseshoe bat roost in the barn at the bottom of our garden!!! A lovely and exciting warble.... and beyond my wildest dreams. Am on Cloud 9! I can hear a few housemartins still chirruping outside my study window. I feel sad tho' as this a.m I can only hear a few, and fear the majority left for warmer climes, last night or early this a.m.
Each day over the past month there have been huge numbers of housemartins congregating, swarming, around the cottage. Chicks peeping out of their nests and parents flying back and forth feeding them. A super sight and sound. As dusk fell last night, I sat outside monitoring our bats: the swallows and housemartins still flying above: a couple of swallows even roosted in the barn. I had no idea that this morning it would be so quiet. I can hear a few housemartins outside but miss the heartwarming chatter and activity that accompanies me everyday throughout the summer months. Safe journey 'little ones'. Amazing night tonight. I heard and/or saw Barbastelle, possibly Leisler, BLE, Soprano and Common Pip, Noctule and joy of joys.... We also have Greater Horseshoes. 🦇 🦇 🦇 🦇 🦇 🦇 Two nights recording them emerging to forage. Such a lovely sight and sound. So lucky to have found them. Today I met a lovely couple and am delighted to say that my very first new 'Amur Leopard' Designer Canvas Tote bag has gone to a good home. After searching high and low over many months, and after many investigations in order to find a company that produces good quality bags, my reward today was to see one very happy lady with my new Amur Leopard Designer Bag. I was so excited, and cannot thank her enough for also allowing me to photograph her. Artists For Conservation Foundation Featured Artist of the Day. What a lovely welcome back to my studio this past three days have been. Yesterday, an elderly couple popped in and stayed for half an hour or more. It transpired they live in a local village and the gentleman is a musician and his wife a singer. We chatted about housemartins, swifts, swallows and all the wildlife they have recorded at their farmhouse over the years. A really interesting couple, and they too said they have noticed and are extremely concerned about the drop in numbers of birds returning to them each year. Apparently, over the years they have installed many bird boxes for the various species, as well as monitoring the nest building around their home. I feel so lucky as I meet so many interesting visitors to my little studio. Today I met a lovely gentleman who during the early 50’s, was a music teacher at Sandroyd School, also known as Rushmore House: the former home of General Augustus Pitt Rivers. The General is the gentleman who created the Larmer Tree Gardens, in which my Studio sits. The fact that this gentleman was a music teacher at Sandroyd during those early years, was interesting in itself, but apparently he left Sandroyd School to work at the legendary Abbey Road Studios!!! He was a lovely gent and so modest.. and I wouldn’t have known any of this, had it not been for his partner mentioning the fact. It transpired that he worked at Abbey Road for 38 yrs, eventually becoming Senior Music Producer, and he met some well-known and extremely interesting and talented musicians. Sunset views across Cranborne Chase as I left my Studio tonight. 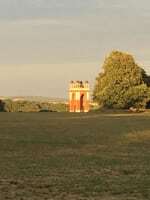 In the distance, The Folly, glowing in the sunshine. Up, up and away.... the preps. for a Balloon Flight viewed from my Studio window. It takes approx. 1/2hr to lay the balloon out, pull the ropes into place and position the basket ready for take-off. Can't believe it is over a month ago that I was last in my little studio and starting a new artwork. Am back again!!! Yay!! 🙂 ...still spinning and swaying a bit, but thankfully not as bad as when the Vestibular n. kicked-off on 29th June. My new website is taking a long time to complete but... “Shwayzi Shwayzi”, not sure how to spell it, but it’s Egyptian for 'slowly, slowly', ‘all in good time.’ 🙂 In the meantime there are some new editions to the Studio. Photos coming soon. It's a lovely sunny day..have a good one folks! Take your rubbish home with you and before you discard, cut open any mesh, plastic rings, plastic bags, containers, squash your tin cans and destroy anything that looks like it could trap and kill. The endangered red squirrel was found on a busy roadside. We should all be campaigning for a phase out of all but the most essential plastics. 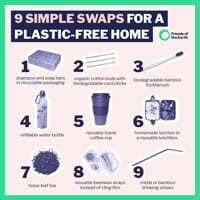 Some quick tips from Friends of the Earth to keep your use of plastic to a minimum all year round. Small changes - big impact! 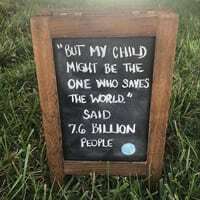 Endangered is endangered. Cartoon by John Deering. Over the past few weeks I have been looked after beautifully by my husband whilst recuperating from my op. The past few months have been extremely busy what with replacement windows being installed at home, carpets fitted, decorating, plus the op. etc. Have not wasted a minute tho’ and whilst off my feet have been organising a brand spanking new website, plus new design eco-friendly greetings cards: produced on environmentally friendly paper, and new products displaying my artwork: all to be included on my new website. Exciting times. Watch this Space! Unfortunately my Studio will be closed for the next few weeks and any orders received will not be processed during this time. I apologise for any inconvenience this may cause and will contact you regarding orders and enquiries, as soon as I am able. Brian saw a housemartin fly across the front of the cottage yesterday, and this morning, as I sit in my Study, I can hear the familiar chattering of our feathered friends outside my window 🙂 Our housemartins have returned!!!! 🙂 It’s super to see them darting back and forth as they select their nests, and to have their company again. Welcome home ‘Little Ones’. winging their way to Vancouver. The Artists for Conservation ‘Silent Skies’ 100-ft installation, featuring all 678 endangered species of birds of the world will form the artistic centrepiece of the 27th International Ornithological Congress at the Vancouver Convention Centre in August 2018. As am going to be out of action for a while and time was running short….it was a bit of a rushed job. Hence my White-winged Duck is just a quick sketch, and many thanks to photographer Andrew Watts for allowing me to use his photo. hollow he will roost for the night. 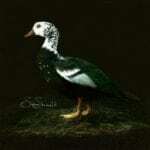 The White-winged Duck is most easily seen at dusk when returning from a slow-flowing river, or stagnant wetland feeding ground; his diet consisting mainly of seeds, small fish, insects and aquatic plants. This species was once distributed widely across north-east India and south-east Asia, but sadly their numbers have declined due to habitat loss and hunting. The White-winged duck is a large, dark, forest duck with orange eyes, an orange and black mottled bill and orange-yellow legs. His underbody is brown, with a contrasting head and upper neck speckled with white. The wings when opened are white and the breast and upper body a glossy-green black. 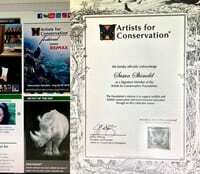 Received a request for an interview from a family whose daughter wished to ask me about my art and conservation work, for her school project and presentation. Have just spent a lovely hour with Esmé and her family, at my Larmer Tree Studio, at the Larmer Tree Gardens. Good luck witih your project and look forward to seeing your artwork Esmé – Happy Painting! As chocolate eggs go on sale in the supermarkets, stop and think about the decisions you make this Easter. Palm oil is a key ingredient in many products including Easter treats. The production of this ingredient is one of the leading causes of deforestation. As chocolate eggs go on sale in the supermarkets, we urge you to stop and think about the decisions you make this Easter. Palm oil is a key ingredient in many Easter treats. The production of this ingredient is one of the leading causes of deforestation.If you are giving a gift this Easter, please consider opting for something environmentally friendly, such as our online orangutan adoptions. These adoptions help to rescue, care and rehabilitate orangutans in desperate need – the victims of the palm oil industry. 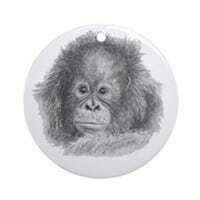 To adopt, visit: https://www.internationalanimalrescue.org/adopt-orangutan?utm_source=Facebook&utm_medium=social&utm_campaign=Easter_2017&utm_content=Easter2017_videoThe adoption packs include a personalised certificate, a photograph, a soft toy and a fact sheet, as well as exclusive updates on your animal’s progress. They make wonderful gifts and can be purchased as postal packs or online printable packs. Please note that digital packs are sent immediately to the recipient, so if this is a gift it may be best to put your own email address as the recipient and then forward the email later on. To adopt, visit: https://www.internationalanimalrescue.org/adopt-orangutan?utm_source=Facebook&utm_medium=social&utm_campaign=Easter_2017&utm_content=Easter2017_videoShare this video far and wide to spread the word. Thank you. Brian Robertson, kindly rescued this little chap. ‘Tis the little Celandine. William Wordsworth. Lesser Celandine on the woodland track to Larmer Tree. One of the first flowers to appear after winter. insects and queen bees emerging from hibernation. chicks, now fully grown, experienced similar. Unable to move: feathers frozen with ice, we were able to catch them, carry them close to the cottage and feed them by hand. 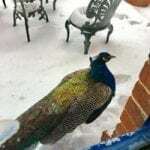 Late in the day the the peacocks started to thaw out slightly. They were very miserable and cold tho’. 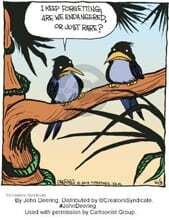 🙁 Feel very sorry for all the wild birds. We have numerous feeders and have been filling them every day. This month we have seen so many different bird species visiting our garden: birds that would not normally venture into such close proximity of humans. So sad to hear about Stephen Hawking. A courageous, brilliant man. A remarkable life. “We have but one planet and we need to work together to protect it” – Stephen Hawking. RSPB Love Nature have received their first swallow sighting reported from Harrogate, North Yorkshire today – there were FOUR captured in the photo. Keep your eyes peeled and record when you see our Summer Migrants arrive. View from my Studio. ???? 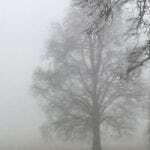 What a murky ol’ day. Happy #InternationalWomansDay! Celebrating Gladys Mantle who, as one of the first animal rights activists on the Quantocks, saved a young deer from a stag hunt 70 years ago to the day – a little known hero and an inspirational woman. Good on you Gladys and all the other women who work so hard protecting our endangered birds and mammals around the world. Moorhen & Bramblings under the feeders today. ???? Have counted 22 species drinking and feeding in our garden over past 3 days. Fear I may have become a tad twitcher’ish‬. After updating my Artists for Conservation website, have also been updating my Nature In Art website and diary. As a trial run….have decided to place each recent artwork or WIP on my home page. Thought it might good to let visitors see what I am up to, at a glance. Lovely to have been acknowledged along with fellow AFC members that donated to the Explorers against Extinction event, at the Royal Geographical Society, in October last year. 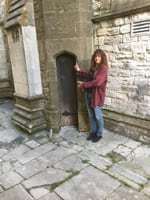 Whilst rummaging for something else… just found this…..
Artists for Conservation are in the process of updating their website and Signature Members have also had to update their pages. I have been beavering away, and this link is my new ‘Artists for Conservation’ Gallery. 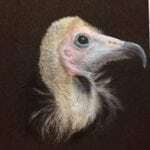 I have recently completed my ‘Hooded Vulture’ artwork, and am donating it to be autioned at the Silent Skies event in Canada. Silent Skies is an international collaborative super-mural mosaic featuring all 678 endangered species of birds of the world, portrayed by AFC Signature Members. The installation forms the artistic centrepiece of the 27th International Ornithological Congressin Vancouver at the Ornithological Society. Funds raised will will support bird conservation and environmental education. Couldn’g believe this mornings news. Apparently one of the wolves at the UK Wolf Conservation Trust has esacaped. Stay safe Torak. Poor thing must be wondering what the hell is going on. My greatest fear is that someone might be trigger happy, as with the Lynx that recently escaped from a zoo in Wales. The Lynx was shot dead. Great news. Wolfy is home safe and sound. Thank goodness. Am pleased to say that Torak was found safe and sound 8 miles from the Trust. He went through a field of sheep and harmed none of them. 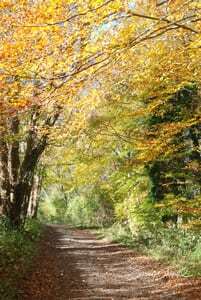 He crossed countryside and was later spotted in woodland, but continued to evade capture. Eventually one of the handlers was able to walk up to him, place a collar and lead on him, and he was returned home safe and sound. I met the wolves when I was invited to illustrate a book, ‘A New Era for Wolves and People’, written by Dr. Marco Musiani, a Professor at Calgary University, Canada. I was kindly invited to visit the Wolf Sanctuary in Reading by Denise.T in order to meet and sketch the wolves. I met the team and made some good friends. I was also introduced to the lovely Torak, Mosi, Mia and their companions. For further info. and photos please see my Conservation Links Page. This is a photo of my meeting with Mia and Mosi. Great ambassadors for the species and an amazing and beautiful experience. Have received an email asking if I would like to participate in this years Sketch For Survival. and help stop Wildlife Crime.Pencils at the ready – #SketchforSurvival 2018 is back! 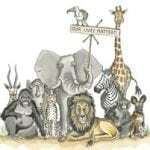 Are you a professional wildlife artist or someone with a high profile that can help us raise awareness about threats to endangered species while also helping to raise funds to combat wildlife crime? We’d love your support! Please share! #explorersagainstextinction http://www.sketchforsurvival.co.uk/ Our Lives Matter – artwork by Siobhan Barlow, Sketch for Survival Collection 2017. Deadline for 2018 submissions: 31 July. Vultures are declining at an alarming rate for a number of reasons. Vultures have been demonised over more recent years and we are now inadvertently killing them in huge numbers. Not only are they are persecuted for being vultures; they are electrocuted when they hit high voltage lines across the worlds steep valleys and canyons. They die due to lead poisoning from carcasses that have been shot and left by hunters. Drugs such as diclofenac/antibiotics/chemicals can be purchased over the counter, in large quantities, across Asia and Africa. Farmers medicate their cattle and when the cattle die, the chemically-contaminated carcasses are just dumped. The vultures do as they have for 100’s of 1,000’s of years; they clean-up the carcasses for us, but sadly end up dying a slow, painful death from ingesting these chemicals. Vultures eggs and chicks also fail due to chemical poisoning. We need vultures. Watch and share the video, and sign the petition. Please watch this video and sign the above petition. Please watch this powerful and informative video and sign the above petition. mural at the 27th International Ornithological Congress, Vancouver. Happy New Year Folks. 🙂 Wishing you All Good Health and Happiness for 2018! At bit of random but important info. to start the year. Soaring numbers of turtles are washing up on UK beaches. Storms are causing the reptiles to become stranded along our coastlines. I didn’t know this so thought I’d share.